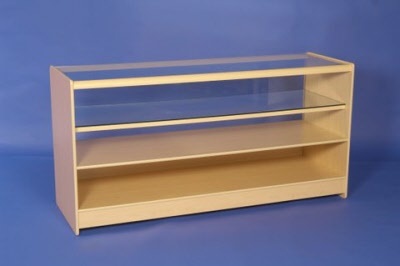 Affordably priced half glass retail counter in either maple or white. Glass front and glass shelf. Open at the rear enabling ease of acces to displays and products. This unit comes with one matching shelf and high impact edging.. 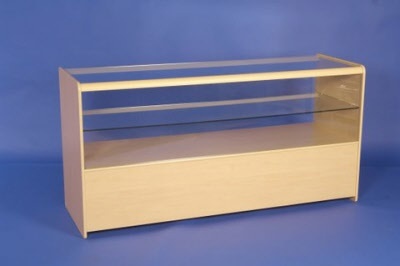 Combine these units with either corner units of the glass faced units to create a practical and cost effective sales counter. Items can be assembled or come flat packed and basic DIY skills are required, please note that these items are heavy and will only be sent on a pallet. Assembly will delay shipping by a few days.